Our FREE open rehearsal in San Francisco is just around the corner! 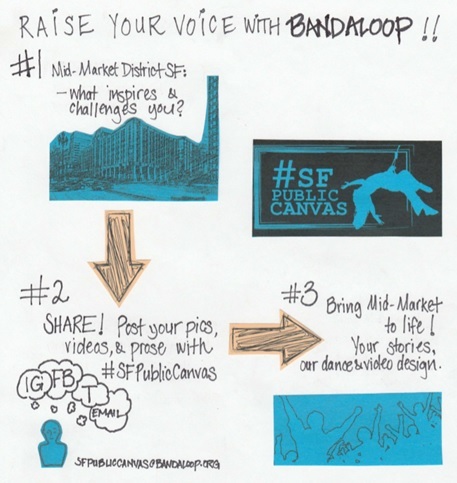 A community conversation comprised of crowd-sourced projected images collected through social media, #SFPublicCanvaswill be activated by a live BANDALOOP vertical dance performance in the Mid-Market corridor in San Francisco. Responses can be posted on Instagram, Twitter, Facebook. 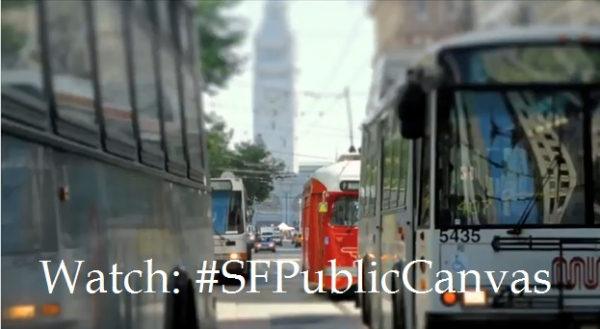 Use #SFPublicCanvas. Open rehearsals are made possible by the generous support of the Kenneth Rainin Foundation, the National Endowment for the Arts, San Francisco Grants for the Arts, and a Lighting Artists in Dance Award, a program of Dancers Group. We are seeking volunteers to assist us with open rehearsals! Please scroll to the bottom for details. Come join us as we perform at Sacramento State's Festival of the Arts! Our company dancers are looking forward to leading their next workshop in the studio - reserve your space now. 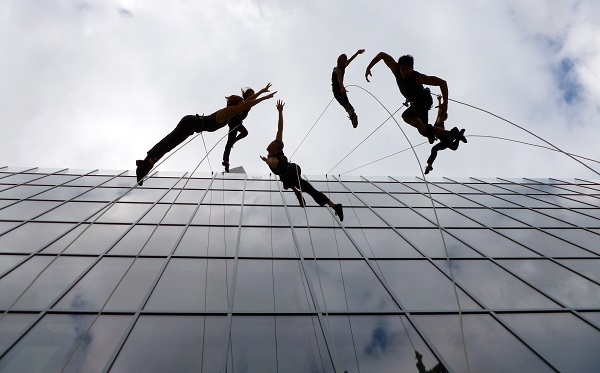 BANDALOOP again builds aerial choreography with Oakland youth at Destiny Arts! See the creation in their annual spring show at Laney College, April 3-12. This provocative look into the lives of teenagers forging common ground across personal, social and political challenges features fresh hip hop, modern and aerial dance, and moving theatrical performances. We are looking for assistance loading in/striking equipment for production week; audience guidance; setting up chairs; door monitoring; donation collection; and information table staff. If you are interested in helping, please email Krystal@bandaloop.org with your available times and phone number.